But, Leader, please....please... don't leave SS501 !!! that they will stay together as SS501 till they become grandpas ! I'm holding on to this. [Sports Chosun, Reporter Lee Da Jeong]SS501's Kim Hyun Joong and BYJ's management company, Keyeast, put together an exclusive contract. the higher powered members in the business industry. Eventually he became a member of a family that includes Bae Yong Joon, Lee Na Young, Choi Gang Hee, and Lee Ji Ah, and became a part of making a bigger Hallyu scene. 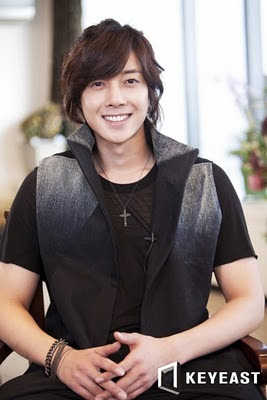 Representative Yang Geun Hwan of Keyeast said, "With the dynamic talents of acting and singing that Kim Hyun Joong possesses, he is able to provide the public with a bigger and brighter beginning for a new career," and "while Kim Hyun Joong has been a part of the newer generation of Hallyu stars until now, we are now able to support him in crossing the Asian boundaries and now becoming a worldwide entertainer with a stronger focus and specialized talent(s). Keyeast will support him in his overseas activities in conjunction with their subsidiary company DA, located in Japan. DATV, an asian entertainment programming network, will also join Keyeast in promoting the dynamic future endeavors of Kim Hyun Joong. Currently, Kim Hyung Joong has finished his album promotion for his band SS501, and is now carefully reviewing new works and future steps in his career. Korean singer and actor Kim Hyun-joong, the leader of idol group SS501, has signed an exclusive contract with Bae Yong-joon's agency, according to a press release by KEYEAST on Tuesday. "We plan to provide more professional and concentrated support so that Hallyu star Kim Hyun-joong can go beyond Asia and grow into a global entertainer," Yang Geun-hwan, the president of KEYEAST, was quoted as saying. KEYEAST also explained that they plan to support Kim's overseas activities through its Japan affiliate DA (Digital Adventure) and carry out various promotions with DATV, a cable channel for Asian entertainment programs. Rumors of Kim teaming up with Bae first surfaced last month when it was reported that Kim and Bae had a private meeting. Kim and his band SS501's contract with agency DSP Media expired on June 8. But at the time, DSP downplayed the rumor, saying it was only a personal meeting between Kim and Bae, a close friend and mentor figure to the young star. Earlier this month, several media reports had claimed that Kim had indeed signed a management contract with KEYEAST. But an official at KEYEAST dismissed the reports as "groundless" and said that they had not signed with the singer. DSP Media also released a statement on Tuesday, saying other band members have not yet decided on their future plans. Kim Hyung-jun will continue working as a deejay on SBS' radio show "Radio Music High" while Heo Young-saeng, Kim Kyu-jong and Park Jung-min will be taking a break and make a decision later on. 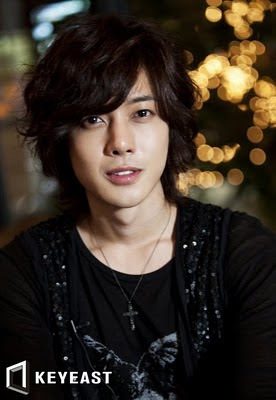 Kim, 23, is the leader of boy band SS501, one of the most successful K-pop acts in Asia since their debut in 2005. The singer has also done some acting work, most notably in the smash hit drama "Boys Over Flowers" last year alongside actors Lee Min-ho and Ku Hye-sun. SS501, who released the album "Destination" last month, have been promoting their latest single "Love Ya." are you really happy to left ss501 group and go to keyeast company? really? I must to say that I learn the meaning of 501(five members until as one forever)!!!!!!!! I learn the meaning of forever!!! maximom 5 years not more.